Film: Cinema Paradiso. A very beautiful and touching movie about the boy’s passion for movies, the true friendship he developed with the projectionist, and how these memories had shaped who he had later become. Book: The Remains of the Day by Kazuo Ishiguro. I’ve been enjoying novels by Japanese writers quite a lot lately. My interest began after reading “House of the Sleeping Beauties” by Yasunari Kawabata, a beautiful romance that inspired Gabriel Garcia Marquez’s “Memories of my Melancholy Whores”, another truly amazing book. City: San Francisco. I moved to San Francisco in 2016, after getting a teaching position in the city. Having never been here before, an not knowing anyone in the city, I struggled in the first month or two to understand what the city was about (other than the obvious tourist attractions). Three years have passed and I’ve learnt to love this city as if this had always been home. The outdoor life, the beautiful surroundings (Napa and Sonoma Valley, Carmel, Big Sur, and so much more), the openness and friendliness of the people that live here, the fresh, young, and lively atmosphere, the creative minds, the amazing food…There is so much to explore here! Every day I discover a new charming corner in the city. Building: Adalaj Stepwell (Ahmedabad). This building has such an amazing sectional quality. As you descend down below the ground level you are blown away by the complexity of the structure, the different layers both vertically and horizontally, the detailing, so much to learn from. Public Space: Ipanema Beach. The beaches in Rio are very connected into the urban fabric and into peoples lives and daily routines. At Ipanema you can find people of all tribes, from the millionaires that own the penthouses overlooking the beautiful coast, going through the tourists, the artists, the LGBTQ population, all the way to the very underprivileged people that live in the slums nearby. It is beautiful to see so much diversity and joy. 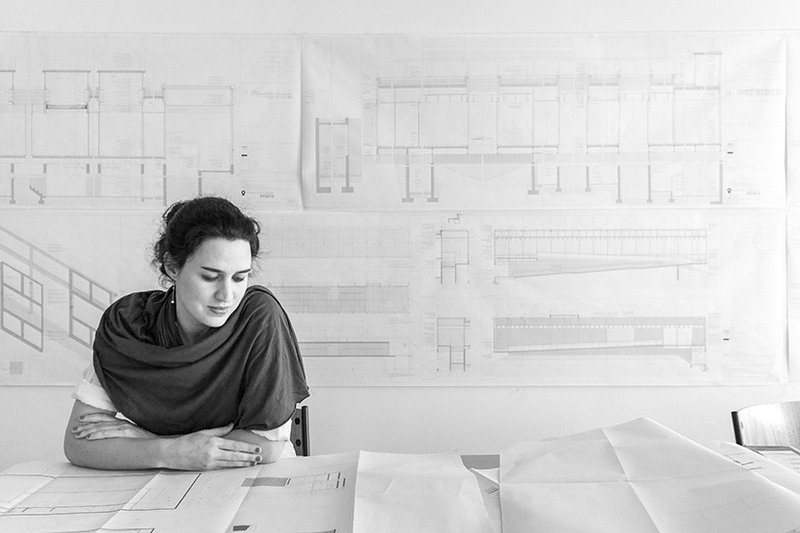 Architect (that is also a woman): Carla Juacaba. Carla is a brilliant young Brazilian architect. Her projects take advantage of whatever the given is, whether it is the material, context, or program, in a very poetic way. Her designs are usually rather simple, but extremely beautiful and compelling. Her chapel for the Vatican in the Venice Biennale was the most stunning nothing I had ever seen. Restaurant: Seven Hills in San Francisco / Taste Vin in Belo Horizonte. I really enjoy a good Italian dish. The ingredients are usually presented fresh or with very little processes, taking advantage of just their natural flavors. Seven Hills is a neighborhood restaurant that I enjoy going to in SF. It is small, cozy, unpretentious, but it always has great service overlooked by the owner, and the pasta is delicious. Artist: Eduardo Chilida. I’ve been very interested in artists that incorporate the use of space in their work. Chilida’s work is very architectural and tectonic in many ways. He would sculpt the voids as much as he would sculpt the material. He would paint the negatives as much as the positives. Art has grown very close to architecture in the past century, sharing a lot of the same categories: space, construction, labor, sensitive experience (or phenomenology), project, idea, relationship to the body, etc. They seem to have incorporated a lot from our discipline into theirs, so, I am interested in understanding how and what we can, as architects, learn from art. Memory: My childhood. I had a very free and happy childhood. I grew up in the surroundings of a big Brazilian city, Belo Horizonte, but in quite an isolated area, in the mountains. Our afternoons were filled with what we called “adventures”, which were long hikes either in the forest, or along the river, swimming at waterfalls, playing with animals and insects. We were six kids in the neighborhood, all with approximate ages. We were never in front of the TV, never bored, never stuck in the house. Object: A silver cup I inherited from my grandmother. Since I was a child, I’ve listened to my grandmother talk about the objects she collected, antiquities, most were baroque objects from Brasil or Portugal. Her passion that came from her parents was transferred to my father, who inherited a rare silver cup with a silver chain that was used probably around the 17th Century by explorers, also called “bandeirantes”, to collect drinking water from rivers without having to get off their horses. My father gave that cup to me as a present when I was living abroad. He gifted me with something that had a special value to him, and I am sure, when I have the chance, I will want to pass it to one of my own children.